The story told in “Going in Style” — three disgruntled old codgers rob a bank — has the makings of a fine movie. We know this because of the original “Going in Style” starring George Burns, Lee Strasberg and Art Carney. I saw it just once when it opened in 1979, but the film’s seamless blend of comedy and end-of-life seriousness has hung strong in my memory for nearly four decades. Minutes after watching the new “Going in Style” its memory already is fading. 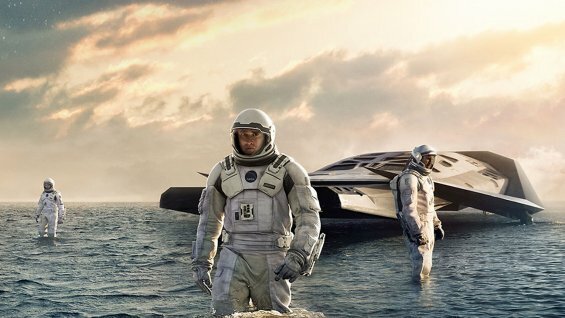 Which is a shame, given that it features three Oscar-winning actors — Michael Caine, Alan Arkin and Morgan Freeman — whose combined thespian power should be enough to power a battleship. Oh, there are flashes of genuine emotion here, but they are fleeting, buried under cheap laughs, grotesque improbabilities, and the jittery pacing of short-attention-span filmmaking. Joe (Caine), Willie (Freeman) and Albert (Arkin) are Brooklyn neighbors and longtime workers at a steel plant. Retired for a decade, they’re still best buds. But getting old isn’t for sissies. The bank is taking the house Joe shares with his daughter and granddaughter. Willie is dying of kidney disease. Albert is terminally grumpy. The final blow comes when their old employer is bought by a European outfit that closes down all American operations and terminates the pension fund upon which our protagonists rely for their survival. I had to watch “Youth” a second time to really appreciate it. As with his previous film, “The Great Beauty,” which was inspired by Fellini’s “La Dolce Vida,” the latest from filmmaker Paolo Sorrentino is inspired by (and often directly copies) Fellini’s “8 1/2.” My mistake the first time around was to see it first and foremost as an homage rather than a free-standing effort that playfully samples a great film from the past. And then there’s the fact that this is about as subtle a movie as we’re going to encounter this holiday season — minimal plotting, zero action, maximum atmosphere. Do not see “Youth” if you’re tired or short-tempered or preoccupied. Unfolding almost entirely at a posh hotel and spa in the Swiss Alps, the film centers on two old friends rapidly approaching 80. As the film begins composer/conductor Fred Ballinger (Michael Caine) is being approached by an agent of Queen Elizabeth, who for Prince Philip’s birthday wants Ballinger to conduct a performance of his seminal work “Simple Songs.” Ballinger turns down the offer and the accompanying knighthood, telling the oily emissary that he is retired. Period. In the same hotel veteran filmmaker Mick Boyle (Harvey Keitel) is working with five young writers to complete the script of his next — and penultimate — film. Fred and Mick find plenty of time to hang out together. Not only is Fred’s daughter Lena (Rachel Weisz) married to Nick’s son, but the two men have been friends for 60 years. They used to compete for the same women; now they battle over who has the most uncooperative prostate and shakiest memory. Fred and Mick also amuse themselves studying on other guests, like the obese South American who was once the world’s best soccer player, a Tibetan llama who reputedly has powers of levitation, a small boy learning the violin by playing Fred’s “Simple Songs,” and a young girl who is vastly more advanced than her hovering and provincial mom. The film even opens its arms to embrace the staff of the hotel, especially a nearly-mute young masseuse with a mouthful of orthodontics — she communicates with her fingers, not her tongue — and a bearded mountaineer who shows up at just in time to catch Lena when her marriage collapses. Big, slick and determined to wow us with its amazingness, the magic-themed caper film “Now You See Me” is less a David Copperfield spectacular than a fumbled bit of sleight-of-hand as performed by “Arrested Development’s” Gob Bluth. The movie starts falling apart as soon as it begins. 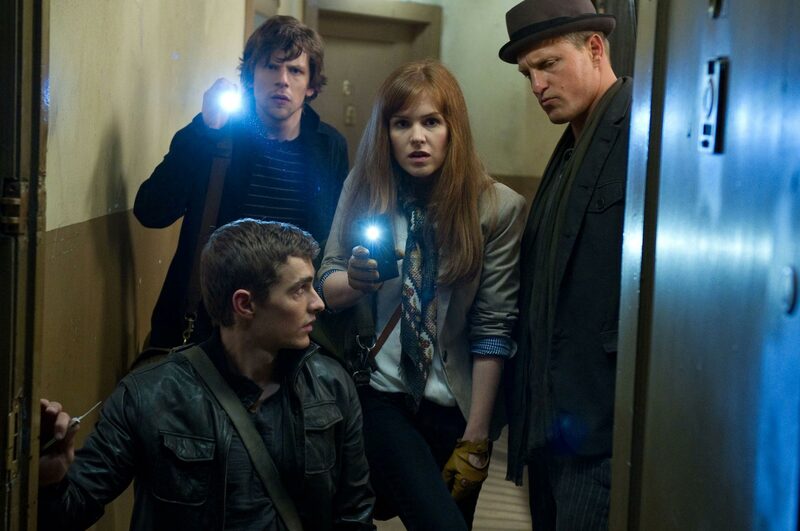 “Now You See Me” isn’t about the characters and it certainly isn’t about stage magic. It feels like something the screenwriters (Ed Solomon, Boaz Yakin, Edward Ricourt) cooked up on a dare, vying to establish the most outlandish, complicated yarn possible. What they’ve produced is a towering house of cards that any two-year-old could knock over. At the outset of Louis Leterrier’s film we’re introduced to four struggling street magicians, each of whom has a magic specialty. Daniel (Jesse Eisenberg) is a cocky card manipulator and illusionist. Henley (Isla Fisher) is an escape artist. Jack (Dave Franco…James’ brother) is an accomplished pickpocket. Merritt (Woody Harrelson) is a mentalist/hypnotist. These rivals are recruited by a mysterious, unseen individual to form a big Las Vegas magic act, the Four Horsemen. On their opening night the Horsemen “teleport” a French vacationer to the vault of his bank in Paris, where millions in Euros are sucked up into an air vent and end up fluttering over the delighted audience back on the Strip. The animation wizards at Pixar are yet to make a genuinely bad movie. 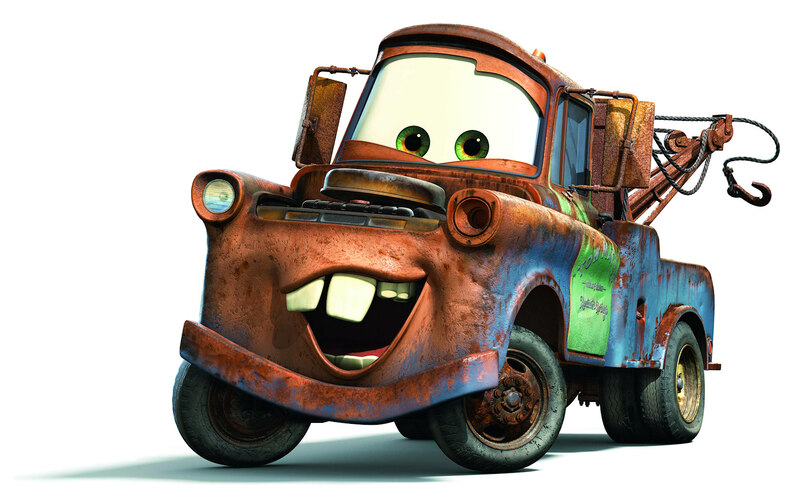 But with “Cars 2” they’ve made a truly mediocre one. Richard Harris gives his all for love in "A Man Called Horse"
The Duke, Josey Wales, Sean Connery, a dude called Horse and Henry Fonda at his most bad-assedness…screw neckties, now you can get Dad something he’ll really like for Father’s Day. That’s because the home entertainment industry has unleashed a slew of classic manly movies for the first time on Blu-ray…and some of them are killer. Let’s start with the least impressive and work our way up.